The SUSC Emerging Talent Academy Program is an accelerated soccer training/playing program which prioritizes skill development and nurtures a love for playing in a fun, competitive, and age appropriate environment, where players enjoy the opportunity to play with and against those of similar motivation and ability. 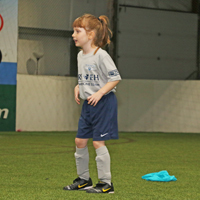 The Emerging Talent Academy is a unique and special training program for a select group players within the U7, U8, U9, and U10 boys and girls age groups. 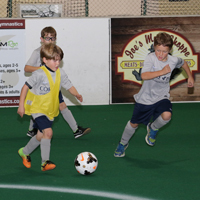 The goal of the program is to identify and select a limited number of outstanding young players from the Seacoast region and train them once each week in an enjoyable and challenging environment which emphasizes skill development through individual and small group activities and small-sided play. The SUSC Emerging Talent Academy Program is directly linked to our Player Development, Club Team, and Community Programs and much of the success of SUSC youth club teams can be attributed to the fact that the majority of our current players are graduates of Seacoast United skill development programs. Because many of our past Junior Academy youth are currently playing for SUSC Premier Teams, this really enhances our commitment to continue to identify and nurture talented young players in a developmentally appropriate setting. Therefore, the staff directly responsible for overseeing SUSC’s club program, (U11 - U19 Boys and Girls) coach within the Emerging Talent Academy groups. 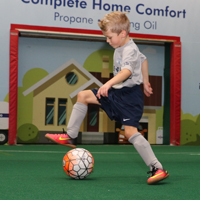 It is our hope that those involved in our Emerging Talent Academy Program will continue to learn and enjoy playing as they move through the levels of SUSC’s developmental pyramid of soccer playing opportunities. Training begins the week of October 23rd, 2017. Families interested in the program should email Mo Abdirizak at mabdirizak@seacoastunited.com.